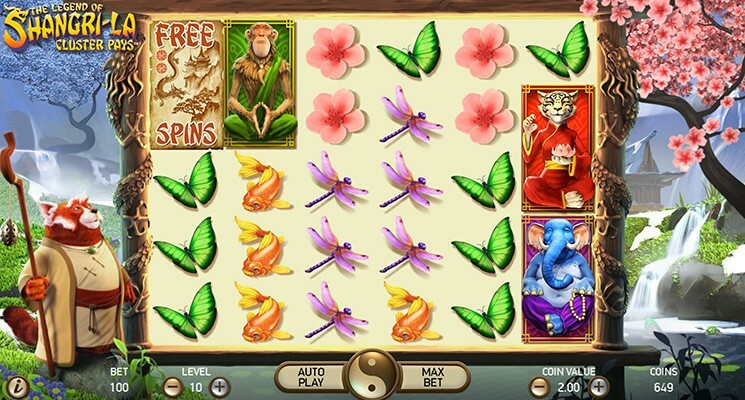 This is another Eastern tale influenced slot by NetEnt. The slot has been influenced by an imaginary plot from Jame Hilton’s Lost Horizon novel. The Legend of Shangri-La focuses on the Himalayas for the mountainous paradise. The Legend of Shangri-LA seems like a utopia and with the impressive qualities, you might end up getting impressive rewards. Shangi-LA has been launched as a constituent of the Cluster Pays series that was launched with the Aloha slot. The slot comes with incredible animations and graphics to make it attractive and rewarding at the same time. 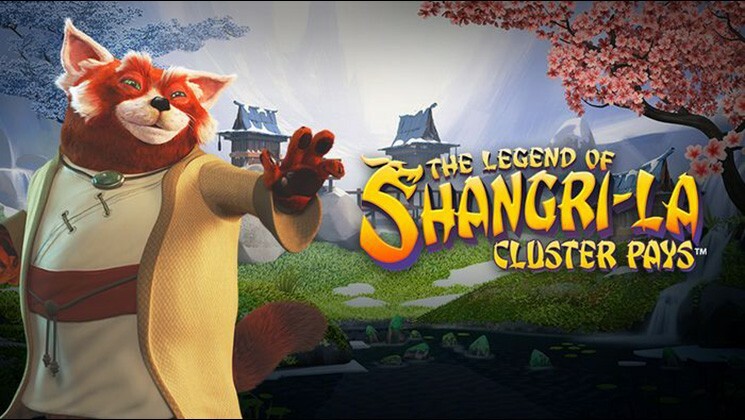 Before investing real money players can try The Legend of Shangri-LA Cluster Pays Slot for free, or visit any NetEnt casino such as: GrandWild Casino, Chomp Casino, FreakyAces Casino and others to play with real money and win. Choosing to play legend of Shangri-LA will be your way to the adventures to the wise monk looking for treats as you try not to get caught by the evil dragon spirit. The background is amazing thanks to the running river which bring a utopian feel that completes the slot’s theme. With the cluster pays, you will not be using the standard bet-lines to tell who the winner is when you make a spin. Net Entertainment has come up with the new innovative way known as the cluster-pays. It will give you a reward for landing nine or more of similar symbols one cluster. A cluster will only be valid if the nine or more identical symbols will be connected vertically or horizontally but not diagonally. The more the symbols you land, the bigger your reward will be. There are also the random substitutions; when you manage to land two unconnected groups of four of similar symbols, the random substitutions will come to play and assist in bagging a win. At least one more symbol will be adjacent to the already present clusters and more will be added to the time you get a win. When it comes to the sticky re-spins, they will be activated when two clusters of similar symbols between five and eight symbols are formed on the reels but are unable to form a valid cluster. The symbols you choose will be stuck on the board as the reels make another spin and this will give way to form other clusters. Other features you will find on the slot are the free spins which will be activated after landing three or more of the free spins symbols.